Don’t fall back on your training while you are home for Easter. 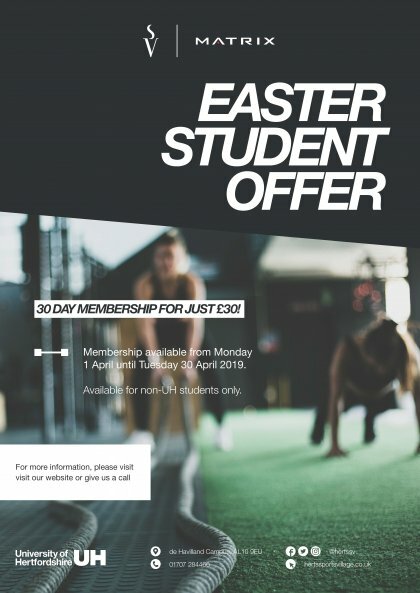 Purchase a 30 day membership and enjoy all the benefits of our GOLD membership at the Sports Village by having unlimited access to the gym, swimming pool and group exercise classes. Just visit our reception team now. Available from 1 April until 30 April.